Relax, talk & while away the afternoon! One Sunday in every Six, we join the whole church together for lunch at Gary and Carolyn’s house, after the morning service. 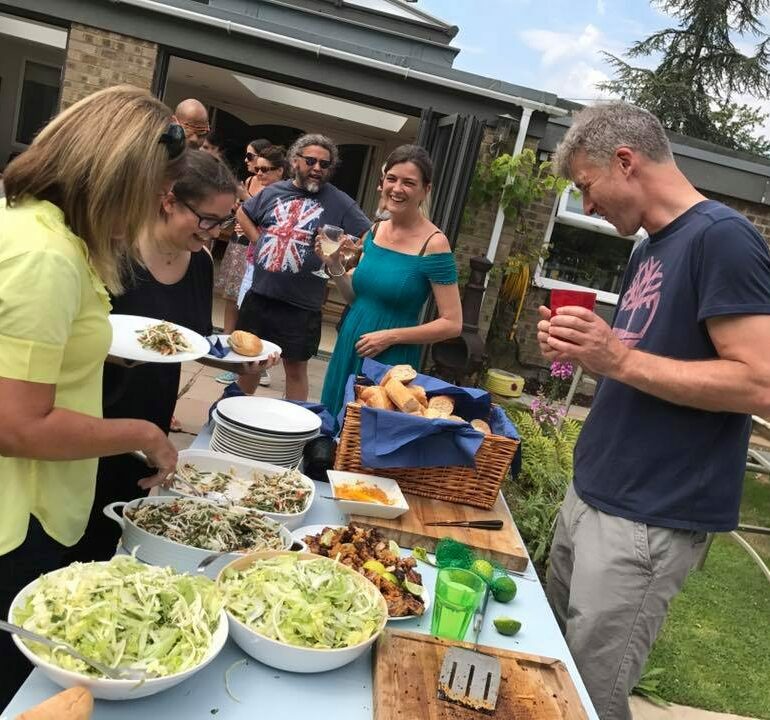 Eating together is a firm favourite in our church and is a great opportunity to relax, talk and while away the afternoon with great food and fantastic company. The kids play table tennis, water fights and other games, so everyone’s a winner! We like to BBQ as often as possible, but when the colder months set in we turn to winter favourites like hot pots and stews. Everyone at Joel’s Place brings a pudding or something to drink so there’s always plenty for unexpected guests. Rest assured if you turn up on a church lunch day, we will make room for you and your family.